Mohamed Salah could not have "got much higher off the diving board" according to Cardiff manager Neil Warnock after he won a penalty. Australia's David Warner hit a blistering half-century for Sunrisers Hyderabad to consolidate his top position in the IPL batting charts. Mahendra Singh Dhoni's swashbuckling 84 went in vain as Royal Challengers Bangalore edged past Chennai Super Kings in a last-ball thriller. Ole Gunnar Solskjaer questioned his players' desire to play for Manchester United but immediately challenged them to prove him wrong in their derby. Mathieu van der Poel sprinted to victory in the Amstel Gold to give the Dutch a first victory in the sole classic on their soil this century. Title-holders Leinster beat Toulouse in the European Champions Cup semi-final in Dublin, setting up a final against Saracens in the process. Liverpool manager Jurgen Klopp lauded his side's desire to cede no ground in the title race by beating Cardiff to return to the top. "But when do you make that change? Do you wait until pre-season and think you will change results by just not asking them to run? ..."
Ole Gunnar Solskjaer believes the privilege of playing for Manchester United should be about the "survival of the fittest". Warriors remain unbeaten in the One Day Cup! A fourth career five-for by Sisanda Magala helped the Warriors unseat the Dolphins at the top of the One-Day Cup standings with an DLS victory. Might Saturday only deepen the call for a changing of the guard at Springbok No 12? Andre Esterhuizen could be breathing more forcefully down Damian de Allende’s neck for the Bok inside centre role in Durban on Saturday, says Rob Houwing. Rodgers is back in the Premier League! Leicester City appointed Celtic boss Brendan Rodgers as the Foxes' new manager on a three-year deal, the Premier League club announced. 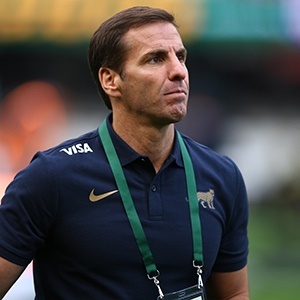 It is set to be a titanic struggle for supremacy between the two Springbok-laden packs. Frans Malherbe and Coenie Oosthuizen can both make massive Springbok statements in Saturday's Super Rugby clash in Durban. Full-back Andrew Robertson admits Liverpool need to rediscover their spark to keep the Premier League race in their hands. "I think he made a big mistake, but we need to be taller." Chelsea manager Maurizio Sarri said Kepa Arrizabalaga had made a big mistake refusing to be substituted during the League Cup final. Henrikh Mkhitaryan knows Arsenal must not rest on their laurels after moving back into the Premier League top four with their win over Southampton on Sunday. Will the Stormers' plans work at the Shark Tank? 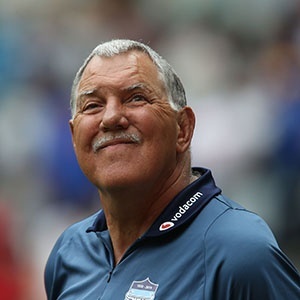 The long-term forecast of rain in Durban has prompted an open-minded approach to the Stormers’ strategy for their clash against the Sharks. Kaizer Chiefs midfielder George Maluleka has dismissed suggestions that the club is in crisis following the long-term injury to goalkeeper Itumeleng Khune. Shocking footage has emerged of a referee getting attacked during a ABC Motsepe game. 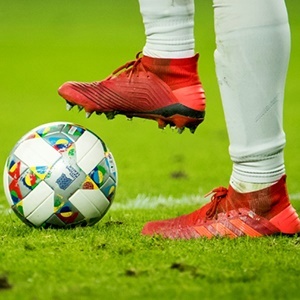 Watch the shocking footage as a referee was mercilessly attacked during a third division ABC Motsepe fixture in Chatsworth, Durban at the weekend. The 49-year-old Sanath Jayasuriya has been banned from all cricket for two years after admitting two breaches of the International Cricket Council (ICC) Anti-Corruption Code. Sri Lanka cricket legend Sanath Jayasuriya has been banned from all cricket for two years. 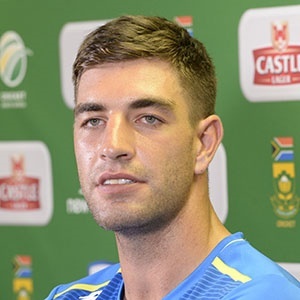 Yorkshire County Cricket Club has announce d the signing of Proteas fast bowler Duanne Olivier, who will join the club ahead of the 2019 campaign. David Beckham made his way to Peninsula Stadium with his son Romeo and former Manchester United team-mate Phil Neville. Shocking footage shows Benni McCarthy involved in a post-game brawl with Maritzburg United staff. Footage has emerged of Cape Town City head coach Benni McCarthy being involved in a shocking brawl in the player's tunnel with Maritzburg United staff. Is Wiaan Mulder the right man to take the Proteas forward? 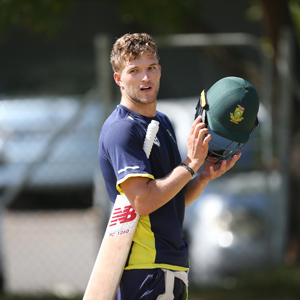 Proteas: Mulder to be 'new JP'? 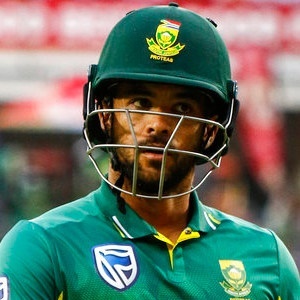 Wiaan Mulder appears earmarked for the ‘JP Duminy’ type of role in the Proteas’ ODI side from Sunday at the Wanderers, writes Rob Houwing. "We should never have allowed a situation where players with 30 or more caps could go overseas and still be regulars for the Boks." - Jake White. Former Springbok coach Jake White has welcomed SA Rugby's decision to remodel its contracting system. The UEFA Champions League Trophy Tour is bringing Manchester United legend Ryan Giggs to South Africa.